After a long deliberation, I have decided to start adding various partially-licensed cards to my collection (I’ve decided “unlicensed” is a misnomer because the MLBPA certainly has given their approval, and Topps and MLB would love for us to continue using a term that makes the cards sound completely illegitimate). I’m not thrilled about the loss of the team logos or signifiers, but short of not collecting at all — which I’m not ready to embark upon — it’s about the best way I can fight back against the Topps monopoly. 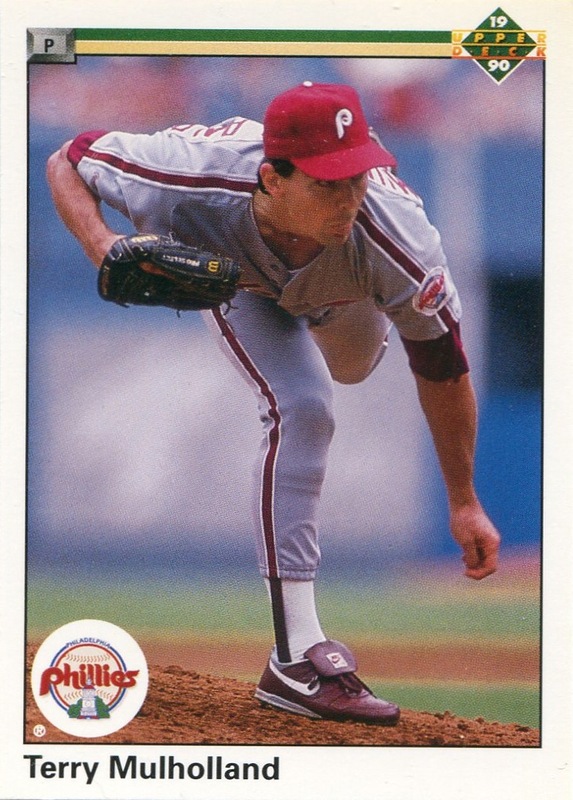 However, I will continue to refuse to purchase prospect cards — which Panini in particular seems to relish pimping in the Elite brand — and stick to cards of players who actually appear with Philadelphia at the MLB level…. “Values of landmark vintage cards may not show it, but the secret to many of those old cards’ popularity is perhaps that they simply can be found and can be collected. Perhaps there’s a lesson in there for us all. As you stop and contemplate this pearl of insight, take a look at the mounds of late ’80s and early ’90s product that can be found so simply and collected. There’s more than enough for all of us to enjoy! It’s the reason why late ’80s and early ’90s product will always remain and be a major presence at card shows for years to come…. 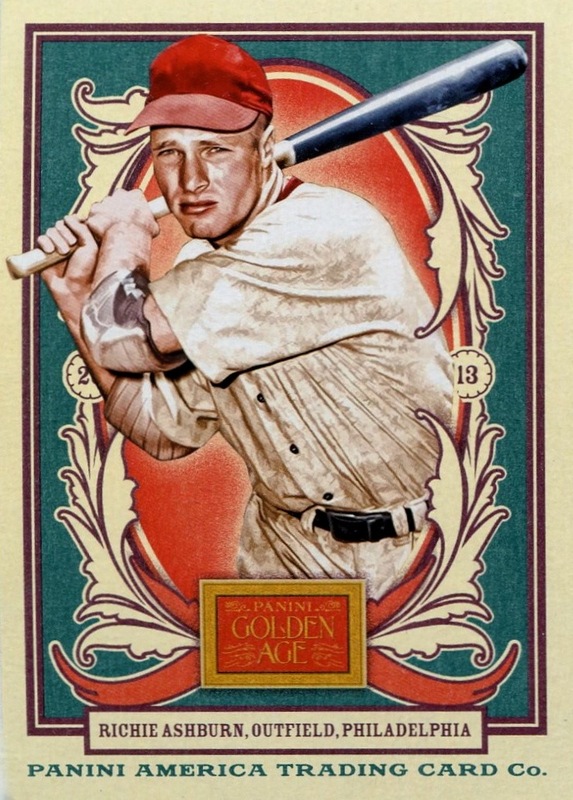 Finally, I have an unabashed love for cards which represent a particular player’s only appearance in a Phillies uniform — especially when it’s not from a Phillies Team Issue set. 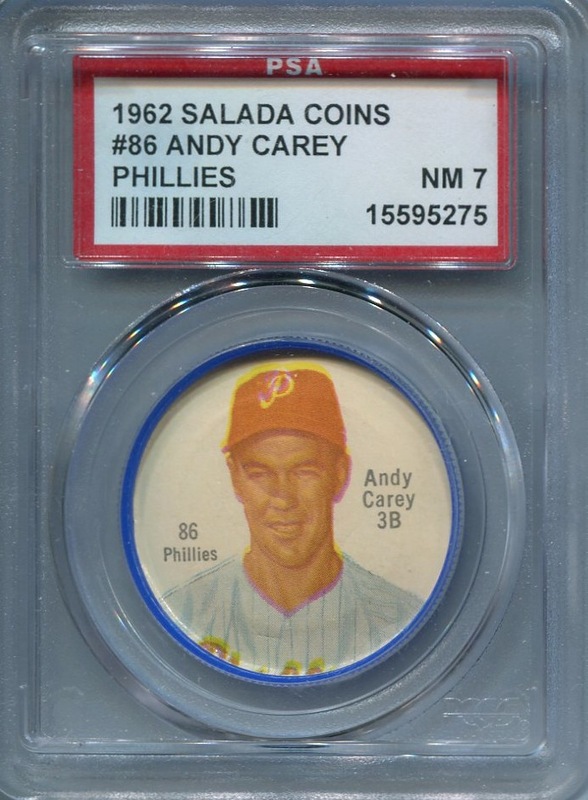 Last week I acquired one such item — the 1962 Salada-Junket coin that marked Andy Carey’s only appearance in a Phillies uniform (he’s in the 1962 Sherrif Coin set as well, but I consider that a parallel set of sorts). The fact that it’s a harder-to-find variation in the Salada set just makes its addition that much more special to me. Eventually, I hope to assemble a complete PSA-graded team set — I’m currently 7/13 of the way there.